Here’s a little teapot, short and stout. Here’s its handle, and here’s its spout. Think teapots are all the same? You haven’t met Mondo yet. 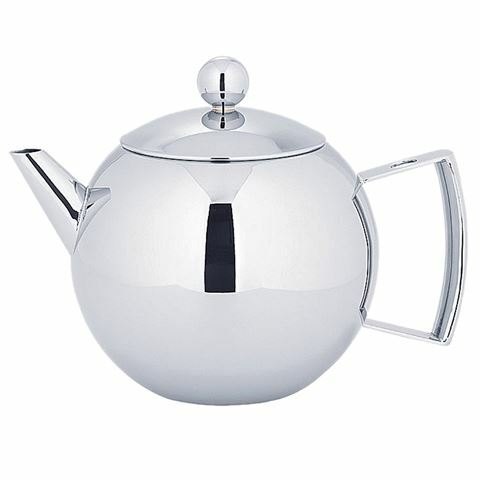 Avanti’s Mondo teapot is more than just a teapot! It’s made from shiny stainless steel, so it stands apart from the rest. And that’s not even to mention its funky, rounded shape! Mondo isn’t just a little teapot. It’s a funky little teapot! Includes a lift-out tea strainer.